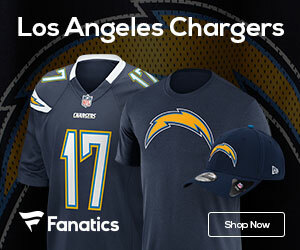 San Diego Chargers Crocs Giveaway! 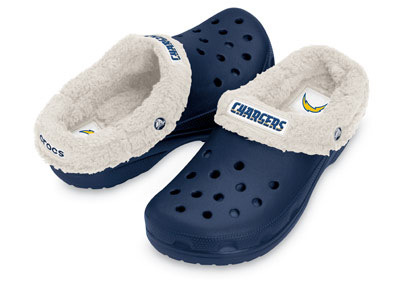 The folks over at Crocs want to play Santa this year, and have offered up two pairs of their new San Diego Chargers Mammoth Crocs. Want a free pair of Chargers Crocs? Just reply to this post (and be sure to leave your e-mail address so we can contact you for your shoe size/mailing info), and you’re automatically entered. We’ll pick two lucky winners at random on Thursday afternoon. Heck of a deal. Would make a great Christmas present to myself. GO BOLTS!! Huge Chargers’s Fan!!! I went to Oceanside High!!! I love the Charger’s!! I love San Dieg…. CHARGE!!! sweeet! i would love a pair! I’m late to the giveaway but if you have an extra pair size 11-12 I would love them.